So, It’s over! the world championships have come and gone. Medals were won, friends made and learning to be had. The first weekend of March 2019 in Melbourne saw the best exponents from around the globe compete in the “True Spirit Of Taekwon-Do” . For our club it was an opportunity for some to compete at the international stage for the first time. Our club was able to bring home a swag of medals and a number of world champions! I would like to congratulate all competitors that took to the mats that learned so much about themselves and their art of Taekwon-Do. Special mention to all the medalist as well as the newly crowned world champions. The championship was completed in just a few days. But the organising took almost two years from the organising committee from RMIT lead by GM Robert Lai and Master Lai with the assistance from Sabum Chattaraj and Boosabums Siatabusan and Comperatore. Congratulations on a successful event! Like the event, competitors also took time to prepare, some as six months preparation for this competition. I would actually say that every time you have stepped on the mats you were preparing. From the first day you tied that belt around your waist, to the day of the championships. It was all part of the process that got you to that moment. Every day you ran, lifted weights or even had a physio session. It was all part of the process. For some this may be the only championships that they attend. I feel sad for them. The championship is really not the reason we go. its really a neat disguise for the real reason. The real reason is simply to exchange ideas, spend time with people that spend so much time dedicating to the same art as we do. Understanding the same sacrifices that we have all made. The injuries, the travel, costs, the arduous training regime. these are our people, regardless of affiliation, as GM Robert Lai said “ We are many, but we are one”. Over time that shiny medal may lose its luster, but the memories and shared experiences with friends new and old will remain with you forever. life is about living and sharing moments with people not about shiny things. for those that were unable to pick up a medal. remember this, if your nothing without the medal, your nothing with it. What should drive you is the process, not the end goal! life is a process, we are born, we live and we die. I am in no rush to get to the end goal of life. and hopefully It is far away. As like me, I hope your still enjoying the process! Thanks to OwenKc for his amazing images! Sometimes it is the small things that matter. Taking that first step, we can have some trepidation. After a number of them. we don’t even notice the steps anymore. That can be at times, both enjoyable and frustrating. Every day we get an opportunity to fix our mistakes from yesterday! We all have our reasons for training martial arts. Over the course of training it can be difficult to recognise if we are improving. It can be the small things we do not notice. When we first start something new, such as martial arts training. It can be intimidating that anxious feeling can become overwhelming. After a while that sense of anxiousness wanes and you begin to turn up to train, and enjoy the entire process. WIN! it is a small one but very important. Making that kick easy. takes little incremental changes, of stretching development. Stretching can be one of the most painful/enjoyable parts of an exercise program, and indispensable to martial arts for increased range of motion and recovery. When some begin training, touching your toes may be a challenge! over time students then look to get there head to touch their knee. a small increase in performance has a huge overall effect. These are small details that sometimes students don’t realise they are achieving. students need to be encouraged and realise that some improvements are small, and frustratingly so, can take along time. If you compete regularly and you begin to medal when previously you have not been, It is a big green light that shows your development. Or at least you think so! sometimes your style matches with them, you got a good bracket etc. sometimes this feedback can be not a total truism. it is better to monitor your progress in the details of your own movement and technique. am I able to use this kick when sparring? can i hit this sweep on all the team in the gym? having a training journal will help you realise your progress. as some of this progression can be small. sometimes having it i black and white, and writing it can allow the process to sink in. Best of luck in your journey! Winning in competitions needs to framed in an understanding of learning and progression. Not just victories. We all have different reasons for being on the mats. Regardless of an aspiring MMA Fighter or just getting to your first grading. each goal is as important to that person. As a team mate we must support that dream. As a coach… for me, all goals are on the same level. From home, school, work or social environment. Culture is king! People generally like to go with the status quo. there may be a number of reasons this is, fitting in to the social circle is important to everyone. Being accepted by our peers. This is why it is important to select our peers carefully. It has been said that we are the sum average of the four people that we spend most time with. If you spend time with people that are highly motivated, maintains a fit and healthy life style it is more then likely that you will mirror that lifestyle. Think about it! Is there anything you would love to do but don’t. Lose weight, get fit or even study? perhaps it is simply that what you do or who you spend time with is shaping your thoughts and in turn your life. Let’s just look at losing weight for instance, You eat well all week, your friends ring up for a session down the pub, all your hard work is undone on Friday night with a few beers, and some nibbles. It is very easy to do. Mat culture is the same at any Martial Arts Academy. I like to think that everyone at the academy where I train we all have the same outlook. But of course there will always be a small percentage that don’t share the vision of the group. It is important to keep them on task and get on board with the vision of the academy. What should that vision be? for me, I want every person to be welcoming, friendly and helpful for all members to reach their goals. I do not want knuckle draggers who just want to prove how tough they are, or selfish people in it for themselves. I want members who are engaged in trying their best, reaching their goals and genuinely wanting to help others do the same. As a club member be willing to help out. Instead of leaving empty bottles lying around, clean up, assist in demonstrations and support the club when we have comps and seminars. The coach notices’s who does and who doesn’t, more importantly so does your team mates. If your team mates think you don’t support the team as a whole you will quickly find that you will lose support of the team. How can you change this? accept the culture, be the leader of the culture, be the first to help out, be the first to volunteer at Demo’s, Assist in running and organising comps, attend team hosted seminars, clean up days( you mess it, you clean it), recruit new members, It is the lifeblood of the academy. Culture is king! people will follow your example good and bad, If all members come to training with the goal to help others, you cant fail as you would have 50 people sharing your goal, and working towards that goal. The important thing to remember that means you also must be engaged work towards the goals of 50 other members. It is like that golden rule! treat others how you want to be treated, don’t ask people to do things that you wouldn’t do for them. Give as much as you take! Add to the mat culture, bring some positive energy to who you spend time with. It will pay dividends in the long run. Competition time is nearly here in Canberra. I encourage you to try your hand or at least come support those that are. Teamwork is very important. Being there to support your team mates even if its grabbing a bottle of water, helping with warm ups etc. You would be surprised how much it means to the competitors. I have attached some links for you guys to check out! Represent the team and compete or support the crew... its all teamwork. here is a few tips on a link for you for patterns. Hope you like. Well we are coming up to Easter holidays and we will have a few moments to breath. We all have that feeling that we are on the go all the time... its called life. Don't forget to take some time and spend it with family and friends, perhaps do some chores that you have been putting off, go watch a movie or a game of footy. Remember to recharge and connect with your loved ones. It is all a balance we are all juggling so many balls these days you will drop one occasionally, thats ok. pick it back up and keep going. Enjoy the break, recharge your body, mind and family will thank you for it. just a quick one for you... here's a link for those that need some tips one sports nutrition from the experts at the AIS. 2018 is just around the corner! Is Your Goal Specific? Measurable? Realistic? Timely? A good goal could be to improve your AFBJJ Ranking points from last year. I placed 16th In Australia for my weight and Rank division with points of 57 . 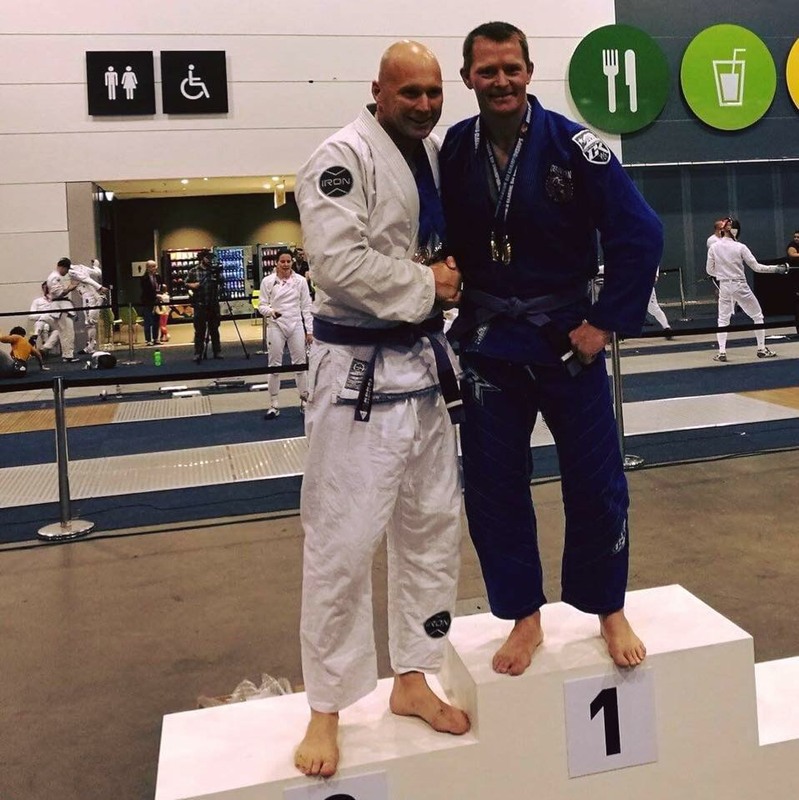 I competed in 2 AFBJJ events. This will be within a 12 month period. To be able to achieve this I need to at least compete in 2 events and place higher then I did this year. As I won two gold and a silver, that is possible.. If I double gold in two events. However in reality there are some I can't ensure Will happen I might not place at all in two events... So I should look to enter at least 6 AFBJJ to give myself the best prospects improve my points. More opportunity to compete translates to more points that I can possibly accumulate. This is just one example.... It could be weight loss, it could be to improve on sparring, rolling etc. what ever it is. write it down, plan it, commit to it. you must also be specific on a small goals... training, are the goals going to be met by your training? Training once a week won’t meet this goals, should some conditioning training be added.. etc etc... get your goals to me and let’s talk about how to implement them so we can achieve them! Materialsm or life Experiences? Become rich in life and not things. life is about... well life... experiences... and the best ones can be shared with people and loved ones... 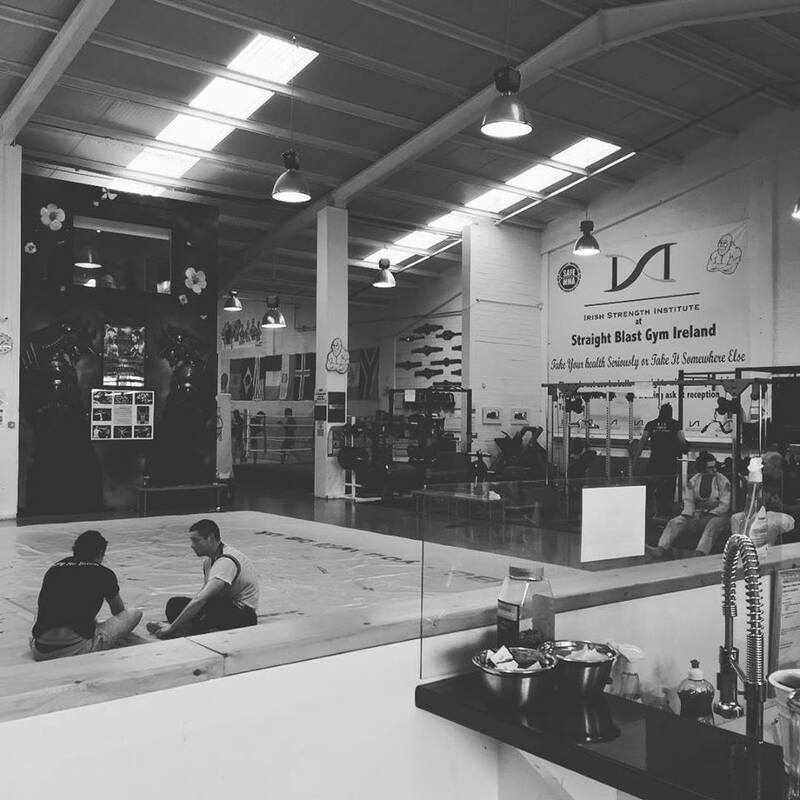 Sometimes the hardest experiences are the most valuable... Goulburn Martial Arts Academy has many people come through its doors coming together and experiencing some of the most valuable lessons in life. True team work, Everyone values what we all bring to the academy. Through the first day challenges of entering a martial arts academy, the nervousness of the unknown.. not knowing anyone... To gaining that Black belt... and cherishing every bump and bruise along the way... or overcoming anxiety to set upon the competition stage with team mates. The comradeship and support network that comes from competing. The emotion and adrenaline you feel stepping on the mats, the excitement and euphoria of winning or the despair of loss. All valuable life leggings and experiences that money can’t buy. After being in the martial arts for 20 years I value every experience far more than material things. And more importantly the relationships and network of friends and team mates. I would take experiences over material items any day, and more importantly wonderful people to share them with. Life is short let’s fill it up and make the most of it. Its from a site called psychology today. anything that can help I fully support. Here is a link to Goulburn Headspace for 12-25 year olds. Learn about yourself team.. Might just be what you need to crack the code of breaking out of a rut. Dont just survive team... Thrive! It has been said that it takes a village to raise a child. I believe it is an African proverb... The sentiment is great and one that I hold true. From parents and grandparents, teachers and sports coaches other friends and family. We all take a role when dealing with children... good or bad. I take the role as mentor or martial arts coach very seriously. i know that people are walking through the academy door at times with anxiety, adhd, bullying issues etc.. regardless on why they are there, we are here to help. My mission for martial arts is to assist people and develop them to become better human beings that our community can benefit from. I cant reach that goal unless everyone is on board. I believe everyone at Goulburn Martial Arts Academy wants the best for each other and really that is the heart of our community. We are in a village, we are raising children..... regardless of age. Is your child better suited for the traditional team sport or martial arts? Lets look at some of the Pros and Cons of both sports. Entering into a new season in sports, you might only know a few of the players on your team. Some of the players may actually be people you are not that fond of off the playing field. But when your team decides at the beginning of the year that it wants to be the team in the winner's circle holding the league championship trophy at the end of the season, personal differences are often set aside for the common good of the team. Many coaches like to say that the name on the front of the jersey is more important than the name on the back. This is saying that no one player is greater than the team. Sports such as football and ice hockey are physical sports and often require heavy commitment and dedication to be successful. By the end of the season, players who have been battered and bruised by the grind of the regular season and the playoffs may feel a strong connection, much like brothers, to their teammates. Team work in sports can help give participants stronger communication skills and teach them to work better with others. Many projects at work and at school often require a group to work together to put together a strong presentation to be looked at by the employer or teacher. Every member of that team must be pulling in the same direction to complete the project successfully. Additional advantages to team work in sports include learning to deal with conflict and exposure to a variety of ideas within the team. The unfortunate thing about team sports is that all kids develop at different ages. motor skills, height and weight play a huge role in children sports and at times even for the most experienced coach it can be hard to juggle a team bests assets. The unfortunate development in kids sports is that the most developed kids get more game time, More development as they spend more time on field and in key roles with in a team. This leaves the child that has less development and lower skill set less time to practice and develop and unfortunately can get left behind. If a child spends more time sitting on the bench then on the field... It would be better time spent looking for another sport in which their needs can be met.Along with frustrated parents and other social dynamics (why is that kid on the field and mine on the bench) can lead to an unhappy and negative experience of sports in general. No sitting on the bench, each members is as important as the next. Your development is through hard work and dedication. Each member of an Academy or Dojo wants to feel as though their hardwork is appreciated. Though gradings they get feedback on how they are developing. Martial arts can be considered a a solo activity.. but in actual fact it is the ultimate team sport, it is true that if someone competes it is a one one one competition. But what most people forget is the following. Coaches have spent immeasurable time developing each member of the team. The less developed members need more attention and get it. All martial artists must work together with their team mates, pad work, sparring technique drilling. All members in turn assist in the development in each other. As such is the case when someone competes for their team they are taking all the help from their coaches, and training partners to the competition and then supporting others doing the same. Each martial artist can develop at their own level, weight and age development, something that can't be done in a team sport. Effort and hard work is is measured through skill development and gradings. Competition success or failure is up to the martial artist. Win or lose they were either good enough or not. no blaming someone else for a dropped ball or missed goal. This is where team work kicks back in and the team works wholes in development or game plans. always learning and progressing. Cons of training in martial arts! well it is hard, difficult and challenging (I see these as pros) but to most the hard slog can be difficult in the long term. that is when Character is displayed and all the life skills are shown. It is hard... but worth it. It's cold, winter in Goulburn can drain all the motivation out of you. It's discipline that keeps you going. All too easy to sit on the couch and watch telly with a hot cup of milo or playing a play station. But nothing is accomplished by sitting on the sidelines. When your cold and tired, it's an opportunity to develop discipline and go to training any way. When your hungry and your trying to eat healthy the temptation is strong to snack, show discipline. When you want to quit because it's getting hard, show discipline and finish what you started. Challenge yourself and accomplish your goals and you will be proud. Remember discipline is like a muscle, you need to exercise it. Persevere now and be proud of yourself later! See you you during the week. Some goals are to reach the black belt. But most will fail, Keep going. Mastery of the technique should be the goal. Once you have developed the ethic of mastery of oneself, you can apply that to everything you want to learn. " Goals of learning a technique can be fulfilling once accomplished. Then realising there is a deeper knowledge to be had in the movement. Like all things, sometimes what is on the surface is just the beginning. firstly I hope the beginning of your year so far has been fantastic. I'm sure most of you. Like me, have seen off the return to school and work after holidays. Most of you will have turned to starting smashing some headway into some New Years resolution. It may have been, to organise your clothes or shed, or perhaps drop a few kilos or hit your first competition. Whatever it may be, be prepared to fail, and fail and fail. These are the necessary steps for you to succeed. To learn from our mistakes. To persevere through hardships and be tenacious. I wish you luck in your goals for this year. I wish you all the success you desire. But remember failure is one step closer to success and at times it's a process that is inevitable. Being positive is easy when everything is going well but . But being positive when down and out is more important. Well we are well underway in getting the new centre up and running, I have to thank everyone that have pitched in over the last week or so. Especially Scott, Bruce, Deb, Whira, and my entire family. So many of you have gone above and beyond for the set up and it doesn't go un noticed. So far we have fixed Roofs (Thanks Scotty! Life saver!) Picked up and transferred the stuff from the PCYC. Picked up new equipment from SMAI with the drive to Wollongong... sometimes the Truck only did 80klms... very slow! unloaded (Too many helpers to name). Frame built for wall mats.. Thanks Scott, Bruce Whira and Bob. Wall Mats going up as we speak. Cleaned walls and toilets. Cleaned Kitchen .. Thanks Deb. Painted walls.. Deb and Bec as well as Hayden, Ryan , Matt with Tom and Henry. Huge clean up of general areas from Bob and Bonnie. Currently getting on top of some ancillary stuff. such as orders, new images walls, shop and display. carpets cleaned etc.... still so much to do... Just want to say thanks TEAM GMAA! Martial arts for everyone! So first week of term 3 is over and we have introduced our new lesson plans for Taekwondo and seems to be going very well. Would love the feedback from our members of course. With a new term here and having new members enroll it inspires ne to not only look for better ways to teach for those members but also the members that have been training for years. To recreate our TKD syllabus is a big venture but one I am enjoying. In time I want to do this for all our programs. Can't wait. But this reminds us every year, month, week and day we have an opportunity to recreate yourself. Everyday we wake up and have an opportunity to start over again. When the sun comes up tomorrow and your not happy with where you are right now. It is time to change. create a new you. This term along with working our technical movements we are going to work something that I believe that is important to everyone. Team work! During my years I have observed kids, teens and adults be great team mates and at times not so great team mates. I have seen kids sit on the side lines because they are not one of the best kids in the team. I have seen them physically and emotionally slump and lose self esteem. Eventually destined to quit the sport. That is the exact opposite of what I want you and all the members to experience at our academy. I want everyone engaged for each other's development. Encourage each other. Because at the end of the day with out a training partner you don't get to train. An example of team work I want everyone to display is if your holding the pads be enthusiastic about the drill. Or of your a grappler don't be a dead body during the movement. Give feedback. how to spar and be a good team mate? Be aware that some people are there just for exercise. To learn and have some time out from the daily stress of day to day life. They don't need some one going world championship level on them. So how can you tell? Ask how they want to spar, meet your partner energy level with the same out put. If you start low and slow you have somewhere else to go! If you start hard and fast likely is it will end up looking like the tassie devil in a whirl wind. Remember you are there to learn not to compete. Just ask your training partner they will tell you. Team work is built on trust. Trust is built on small promises being kept. Sparring a much smaller partner lightly to ensure not to injure them when you hit the mats reaffirms that trust. 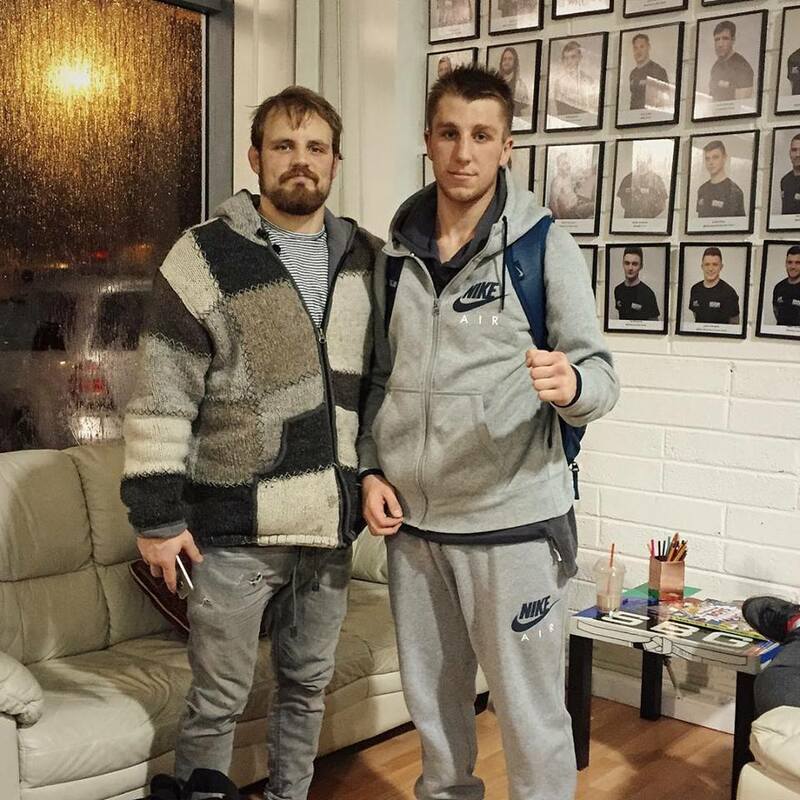 Having a welcoming and friendly attitude and being greatful for having a training partner also helps. I want you to be engaged in the learning of the person your training with. If they have that attitude and so does all the other members at a class of 20 you have 19 others looking to assist your development. If we apply the selfish approach we only have our selves. How many times have you left that arm in when passing the guard and get caught in that triangle? How many times do you throw that Jab and drop the right and then get countered? Well if its more than once its not a mistake... It is a decision.. or at least a subconscious one. How many times do you think it took you to stop putting your hand on the fire before you realized that was bad? I am guessing once! The negative effect can be felt sharp yet is prolonged for a period with a burn. Most children learn with out too much thought that although the fire can warm the body, touching is a bad decision. I think we all make this mistake? after all, you don't know what you don't know! Many things in life are like this, but why do we at times keep making the same mistake over and over again? I believe it was Einstein that said "Insanity is doing the same thing over and over again and expecting a different result". One thing that I have learned is that humans are creatures of habit. Like it or not, we are. Fold your arms you will find that you tend to fold one arm over the other more often than not? Now fold your arms again the other way. how did that feel? Strange I am sure. How can we identify when we are making a mistake or a decision? Lets look at leaving the arm in and getting caught in the triangle. I am only a purple belt coach but lets assume you have learned that leaving your arm in when passing is bad. You may not have known why but when trying to pass the guard against a higher belt you found out why. how many times did it take you to correct it? I am guessing if you were the only white belt in class or on the open mat you learnt pretty fast that leaving your arm in was bad. But you still do it? If you still do it its a decision you have decided to leave your arm there. the consequences end up the same. Why? I am guessing your so focused in the end result and not the process of the doing. So you get caught again! You have created a habit and you need to address it. Go through the process. step by step. remember the rule two arms in two arms out. Before you know it you have side control. It is the same with the Jab after a few black eyes you weld that right hand up and catch the counter. great! Unfortunately we do this off the mats also, but it is not as easy or fast to get the feedback at times like getting triangle choked or socked in the eye. How often do you check your phone? Did you miss something your child did that was fantastic? Did you check that text whilst driving? You didn't miss that truck you hit as you passed through the stop sign and now your in hospital. Sometimes we get instant feedback on our decisions or mistakes, but ultimately we have to own them as we are the masters of our own destiny. I guess how fast we address them is the effect that it has on our lives, if we address them at all. Everyday we are given an opportunity to learn, the world is a ready to teach us and has provided us with an environment that is conducive for learning. Just find what mistakes you are doing and what decisions you make. Is the pay off negative or positive to your life? Break it down. think about the process and not the end result. I am off to learn a bit more. 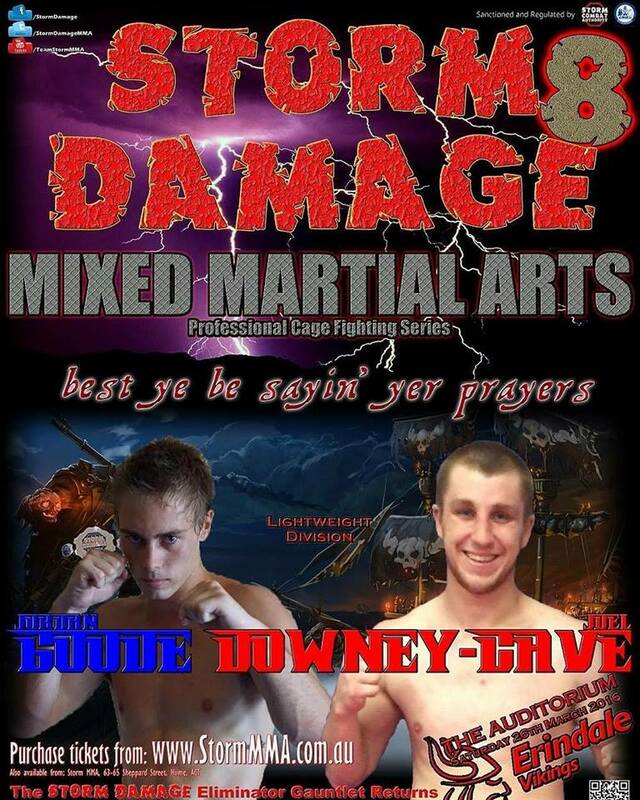 Joel Will be back next week in preparation for his upcoming MMA fight on SD8. Thanks goes to his team mate and friend Henry who that went with him. Big Thanks to the Coaches, trainers, staff and members of SBGI that was so welcoming and helpful for our guys. I look forward to Joel telling us some stories and new movements for us to work on. We are back to training today guys. Just wanted to get some items covered. Can everyone please remember the following! As we are back today we are kicking off the new you program. I want to be realistic in our teams goals and achieve the benchmarks we set. Martial arts provide a way of health and fitness and I want that to be measurable. Family are more than welcome to join the fitness portion. We will be setting goals to achieve both with nutrition and fitness. first nutrition goal this week is to cut out soft drink and juices empty calories that are high in sugar. get rid of them out of the diet. Bring a pen, notebook, student handbook, drink, joggers, shorts. lets make this year your year.